Keeping food scraps for composting has two magical powers. It diverts the waste from landfills, and the compost provides beneficial organic matter to support plant growth. There are fast, efficient ways to make compost, for the dedicated geeks among us, and a slower process, for those who are short on time but willing to wait (that sounds ironic, no?). Related to this, fall leaves have tremendous value in the garden. Find out why you should never send healthy, old leaves away. I grew up in a composting household so keeping kitchen scraps for compost has been a lifelong habit. It wasn’t until I met other gardeners as an adult that I realized composting methods can vary so greatly. Some are casual, often with much slower results. The middle-of-the-road composters like me get good results with modest effort. And the compost geeks (it’s a compliment, I promise) work those piles by the book, getting rich, delicious compost in just a matter of weeks. But, no matter which way, if the basic principles are followed, it all seems to work. 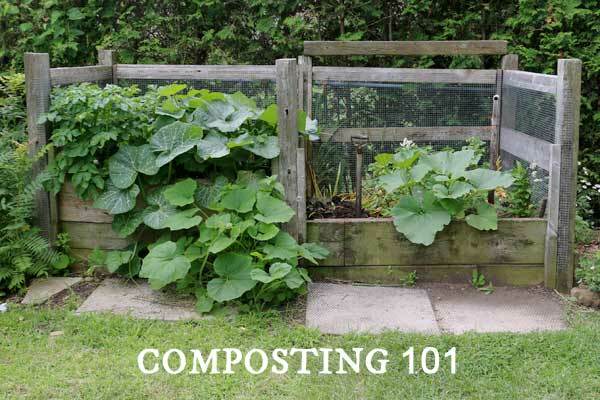 The difference is simply how soon the compost will be ready for your garden. Worst case scenario, you dump a bunch of kitchen waste in a pile, forgo adding carbon suppliers like leaves, and end up with a foul-smelling, fermented mess. But hey, it’s all part of the learning curve. My main reason for composting may surprise you. As much as I love adding compost to my soil, the chief concern is keeping food waste out of landfills. The fact that homemade compost improves the garden is a total win. In my old garden, the clay soil was so tough I could not get a shovel in it. Over the years, I simply added compost on top. Eventually, it built up to a depth that allowed me to plant and grow anything I wanted. Now I’m faced with extreme sand. Again, the only remedy has been to mulch with wood chips and add compost on top. In my first year of gardening here, I never even saw a worm in the soil no matter how much digging I was doing, including installing a pond! Nothing but sand. Now, as I add layers of fresh compost each season, there are signs of life in there. Compost introduces decomposed organic materials into the soil, providing nutrients for plants. And the entire micro and macroorganism crew come along for the ride, bringing the soil to life. It also helps retain water, which is critical in super sandy conditions like mine. 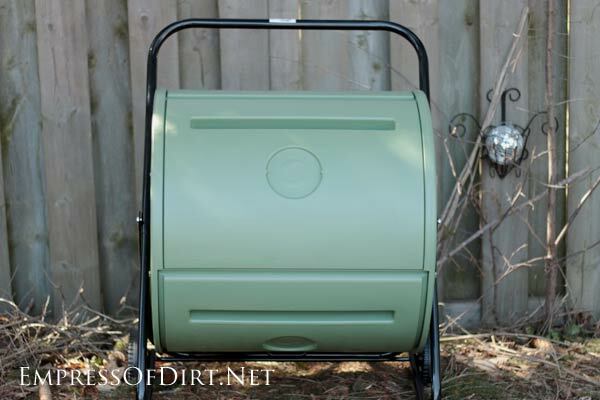 Let’s walk through the ideal composting method. Realistically, you may not be able to maintain it this way, but the more you can stick to best practices, the better it will do. A compost pile is a living thing and requires ongoing care. 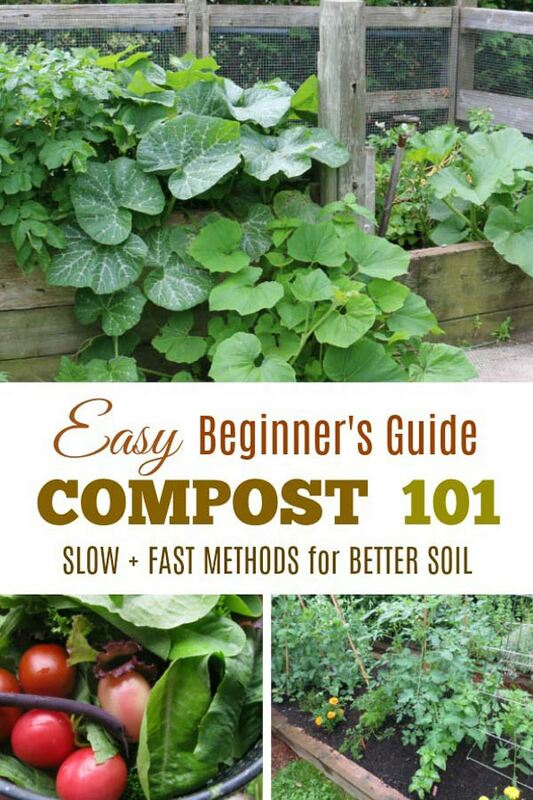 If you want to produce compost quickly, follow these principles as closely as possible, and do more reading to further understand the science, so you’ll know how to adapt as needed. When we achieve the optimum balance, the microorganisms that thrive in higher (but not too high) temperatures (aerobic bacteria) make fast work of the decay process, providing lovely compost in a matter of weeks. If the process is interupted, the temperature drops, and less efficient bacteria (and others) take over. It still works eventually but progress is slower. To keep it simple, we divide the ingredients into two camps. They are not all truly brown or green in color but it’s a helpful system for remembering what’s what. The smaller the pieces, the faster the materials can be broken down. I avoid adding anything with suspected pest- herb- or insecticide exposure, animal waste or manures, cooked foods, oils, fats, cheese, meat, bones, diseased plants, or invasive seeds. This minimizes the chance of attracting wild animals to the pile, and worries about various pathogens and other nasties. If you want to be a broad spectrum composter, do your homework first to keep it safe. It takes a village. There are countless organisms at work in a healthy compost pile. Microorganisms (chemical decomposers) including bacteria, fungi, and actinomycetes. Aerobic bacteria are the most efficient compost-makers, excreting nitrogen, phosphorus, and magnesium. Many types are present and active, depending on the temperature of the compost. Thermophilic bacteria, are active during the sweet spot period (113-160°F). If temperatures cool, the lower-temp-loving-less effective bacteria take over. Actinomycetes (higher form bacteria) give compost that lovely, earthy smell. Anaerobic microorganisms take over if oxygen levels drop below 5%. With lack of oxygen, the greens can ferment and become stinky due to the production of acids, hydrogen sulfide, and more. This is why you have to turn the pile: it lets fresh air in. Macroorganisms (physical decomposers) are also on the team. Examples include ants, beetles, centipedes, earthworms, flatworms, flies, millipedes, mites, nematodes, sow bugs, snails, springtails, spiders, slugs, rotifers. Go, Team! Research indicates a 30:1 ratio of carbon (C) to nitrogen (N), based on dry weight, is the sweet spot for a healthy, fast-producing compost pile. This is the ratio where the deluxe microbes grow best and can make fast work of converting all those greens and browns into compost. For organic certification, a ratio between 25:1 and 40:1 is required, allowing more leeway. With too much carbon (greater than 30:1), heat production drops and the process slows down. Too little carbon, and the compost ferments, gets stinky, and loses its nutrient value. But what does this mean and how do we achieve this? This is where the simple, slower methods, and the fast, accurate method part ways. Most of us make somewhat educated guesses for ratios of browns and greens. For every pound of greens, I try to add approximately 3 pounds of browns. No, I don’t weigh or measure. This is my estimate based on what I’ve been doing instinctively for a long time. I also tend to compost the same greens (fruits and veggies) throughout much of the year. Yours may be different and have higher or lower nitrogen levels and you may need to adapt it. But, for the sake of simplicity, finding a method by volume or weight keeps it simple. I know the ratios are on target by look, feel, and temperature of the pile. Again, it becomes instinctive. Just get started. You will get it as time goes on. If you are trying to understand how the 30:1 C:N ratio translates to this practical formula, it’s a big topic. I’m sparing you the amateur (me) chemistry lesson, to keep it simple, but basically, the chemical composition of each item varies (of course), so we generalize it. There are links (below) if you’d like to explore this further. Because I have greens to add every day, I keep bags of fall leaves nearby (saved from autumn raking) so I have browns available to balance the ratios in the bin. What the compost geeks do is learn the individual ratios of everything going into the pile (the actual carbon|nitrogen ratios vary with every single item) and add more of what’s needed to achieve the ideal 30:1 ratio or close to it. When done right, compost can be ready in just a few weeks, and that is a lovely reward for any gardener. If you are in the right ratio range, there will be adequate amounts of moisture present, simply because of the water contained in the greens. I do have to water my compost pile very occasionally during heat waves when a lot of moisture evaporates, but otherwise find this to be true. When adequately moist, compost feels like a rung-out tea towel in your hands: moist but by no means dripping wet when squeezed. For the aerobic bacteria to go to town, oxygen levels within the compost need to be at least 5%. This is achieved by turning the pile 1-2 times a week. Slightly bulky materials in the pile also provide air pockets. I’ve noticed some variation in the research, but, most commonly, 160°F is named as the maximum desirable temperature, which is the marking point when the aerobic bacteria want to take a break and enjoy some cool drinks on the patio. I use the old-fashioned way: stick a metal pipe deep into the pile and pull it out. If it has heated up, you know the bacteria are doing their thing in there. A neighbour has a large compost pile in their garden. I notice one feral cat will nap on it when it’s heating nicely. Catmometers are remarkably accurate. Our compost geek friends recommend using a compost thermometer. Make sure you get one with a long probe (20-inches) and a high range (over 160°F). You can use the same thermometer for checking soil temperatures for seed sowing as well. 90-160°F indicates the compost process is working. Above 140°F will kill off unwanted pathogenic organisms and weed seeds. This is good. 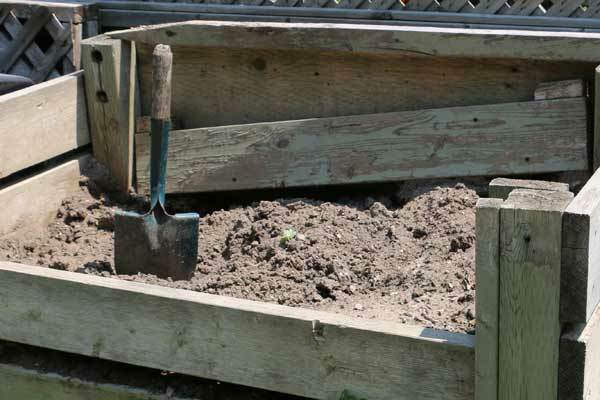 Over 160°F, compost may become sterile and no longer fight diseases. One cubic yard is ideal for maintaining heat but still manageable for turning. I have some neighbours who are anti-organic, anti-compost, anti-you name it, and to avoid their wrath, my main compost area is a compost tumbler. I had my doubts when I got it, but it does work very nicely. An open pile is ideal, if you can manage it but this is a good compromise. 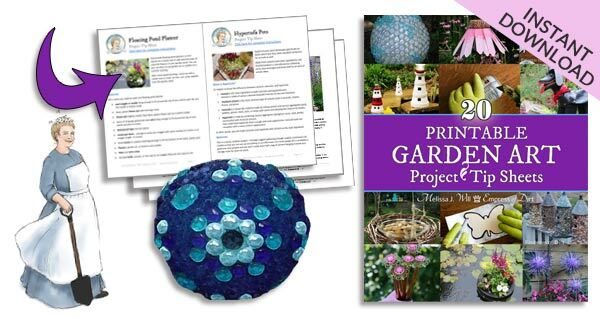 Ideally, you add new materials and turn the pile every 3-4 days. This provides fresh air for the aerobic bacteria. In reality, many of us do not have the time. A dormant pile will lose its heat, downgrading to less productive bacteria. When you add additional nitrogen and carbon suppliers, and turn the pile, things perk up again. It’s not a crime, and the Compost Police will not bust into your garden to issue a summons. It just means the process is slowed. The important part is that you’re doing it. Like most things, the learning comes with experience. When compost is ready for use, it looks, feels, and smells like good, earthy dirt. Hold it in your hands: it is beautiful. Fast or slow, it’s worth it.